Sri Chinmoy is an Indian-born poet, writer, musician, artist and spritual teacher who lived in New York, US from 1964 until his passing in 2007. Sri Chinmoy was born in 1931 in Shakpura, Chittagong in what was then British India, and now Bangladesh. At the age of 12 he moved with the rest of his family, to the Sri Aurobindo Ashram in Pondicherry, south India. Here Sri Chinmoy practised many spiritual disciplines, which led to a profound state of Self-Realisation. As well as spending many hours in meditation the philosophy of the Sri Aurobindo ashram encouraged an active outer life. This philosophy is known as integral yoga, the idea being to bring spirituality into all aspects of one’s life. In the ashram Sri Chinmoy proved to be an excellent athlete and also he began his first attempts at poetry. In 1964 Sri Chinmoy felt an inner inspiration to travel to the West to offer the wisdom of Indian spirituality to western seekers. Since arriving in the West, Sri Chinmoy offered many lectures, meditation classes and soulful concerts of meditative music. Sri Chinmoy also serves as a spiritual guide to seekers from around the world. There are now Sri Chinmoy Centres in many different countries in Europe, America, Asia and Australasia . For 37 years Sri Chinmoy offered prayers and meditations at the United Nations in an attempt to foster greater world peace. Sri Chinmoy’s teachings advocate a balanced life based on inner spiritual disciplines like meditation and prayer. Sri Chinmoy was also a firm believer in the benefits of physical exercise and completed many marathons and ultra marathons himself. Related to the concept of physical exercise, an important aspect of Sri Chinmoy’s philosophy is self transcendence – the concept of reaching beyond the limitations of the mind to discover your hidden possibilities. Sri Chinmoy was a prolific author having written almost 1,500 books at the time of his passing, with more unpublished writings still to emerge in the coming years. These are mainly on spiritual themes and include many volumes of poetry. A summary of Sri Chinmoy’s philosophy. This is the main website for Sri Chinmoy. It offers selected writings on spirituality, these include both poetry, questions and answers and talks by Sri Chinmoy. There is also a section called Kind Words. 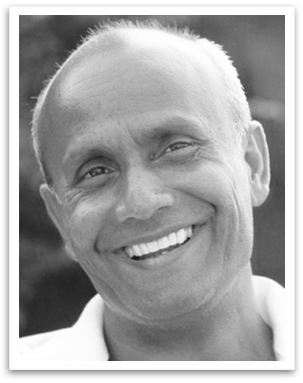 These are pages on Sri Chinmoy’s conversations with prominent world leaders and humanitarians, plus a selection of the tributes that came pouring in from all over the world following his passing. It includes Pope John Paul II and Pope Paul VI, Nelson Mandela and Mikhail Gorbachev.